In a game where fitness and length have become increasingly more common, it was a 5-foot-9 guy who won the 2015 PGA Championship Long Drive Competition. 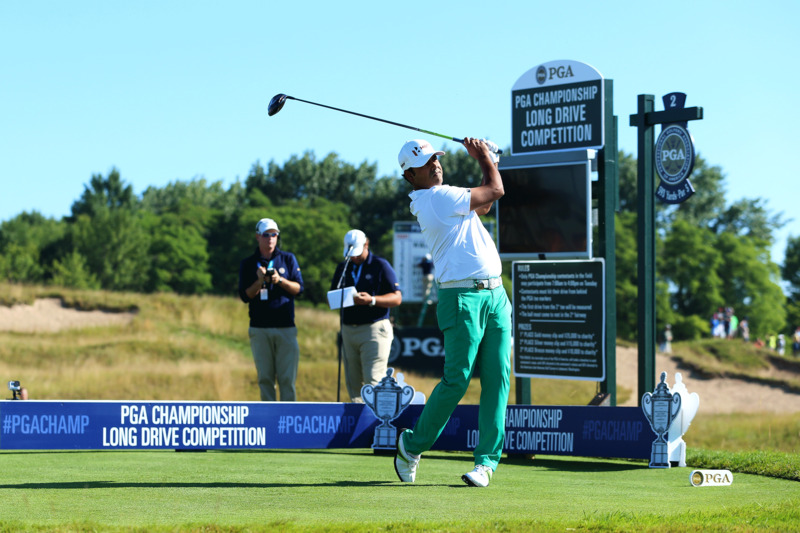 Anirban Lahiri of India, a seven-time winner around the world, took the long drive title on the 593-yard par-5 second hole at Whistling Straits with a blast of 327 yards. 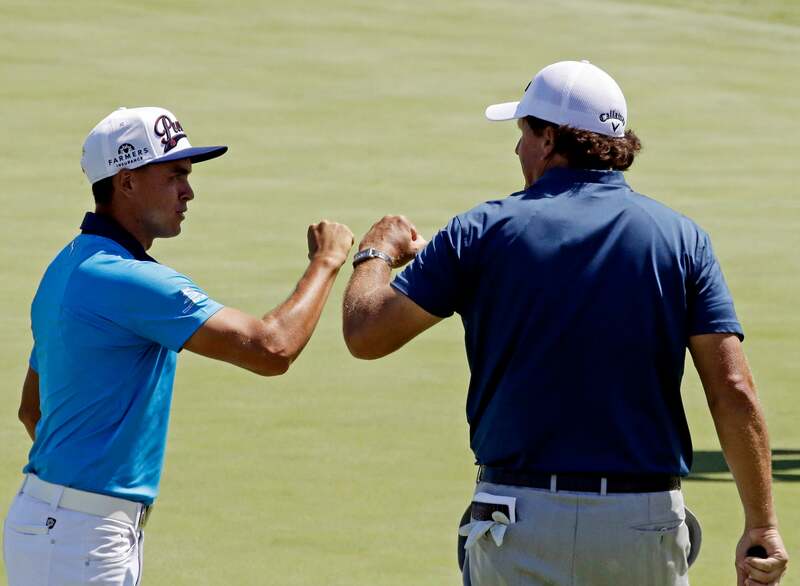 Many of the game’s longest hitters, including Rory McIlroy, Bubba Watson, Jason Day and Tony Finau, missed the fairway and thus were disqualified. Martin Kaymer pulled off his best Happy Gilmore impression but also missed the fairway. For his efforts Lahiri earned a $25,000 donation to the charity of his choice and a gold money clip similar to the one given out in the 1950s and 1960s to the winner of the competition. Jack Nicklaus, who won the 1963 competition with a drive of 341 yards, still uses the money clip he won for the drive. The long drive competition was resurrected last year at the PGA Championship at Valhalla, where Louis Oosthuizen won with a tee shot of 340 yards. Rounding out the top five this year were Matt Dobyns (323 yards), J.B. Holmes (315), Jimmy Walker (314) and Jordan Spieth (313). Watch Lahiri’s winning drive below.